One of the old features in the original Resident Evil games was the door opening sequences that played while moving between rooms. Well, modders have taken it upon themselves to remove this age-old feature and bring the game up to modern times by quickening up the pace when moving between rooms. Kotaku does a brief write-up about the removal of the game's door sequences. There's a video clip showcasing how the doors that used to show up when moving between rooms is no longer there – player-characters simply appear in the next room after the screen fades to black. You can see the mod in action, courtesy of modder Sectus, and YouTuber FluffyQuack. You can grab the mod and install it using the Fluffy Manager 5000 toolset that contains various trainer functions. Anyone new to the Resident Evil modding scene, just let me say that this is easily one of the lamest mods available and mostly a waste of time unless you really hate those door sequences. Now if you really want to spruce up your Resident Evil game, you'll likely want to visit the Invision Free board that contains mods for many of the major PC releases of Resident Evil. 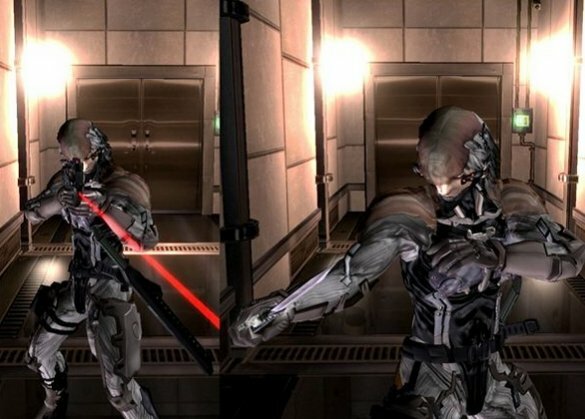 I mean there's a mod of Raiden from Metal Gear Solid IV for Resident Evil 4. Check it out below. You've also got mods like Jill Valentine from Resident Evil 3 being playable in Resident Evil: Revelations. You can check the mod out by paying a visit to the z6 board. There are some really awesome mods for the PC version of Resident Evil. I particularly love the weapon swaps, where some of the really neat handguns in the older games are replaced with higher quality, high-definition weapons. Such as the replacement of the H&K P8 with Wesker's specialized Samurai Edge. Of course, if the only thing you wanted out of your experience in Resident Evil is to remove door sequences from the gameplay, you can easily do so by downloading the trainer tools through the YouTube description of the door video posted above. Resident Evil HD Remastered is available right now for seventh gen and eighth gen home consoles, as well as PC. The game is quite popular with a lot of gamers who may have missed out on the original back in 1997 or those who may have skipped out on the GameCube version in the early 2000s. You can learn more about Resident Evil and all the other spin-offs, remakes and upcoming sequels such as Resident Evil Revelations 2, by paying a visit to the official Resident Evil website.